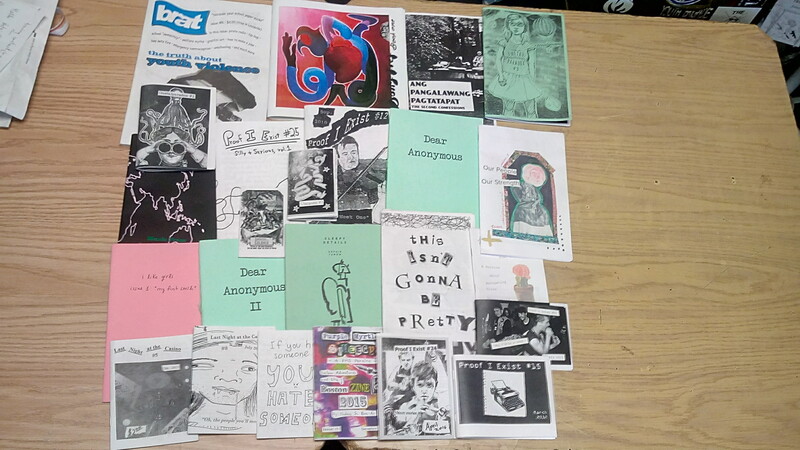 Check out our latest zine library additions! 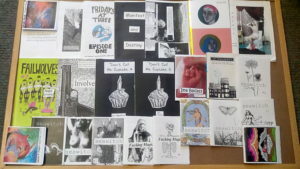 Hello once again zine pals! 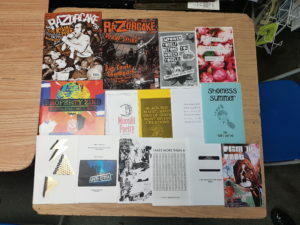 Posted in Uncategorized	| Comments Off on Check out our latest zine library additions! 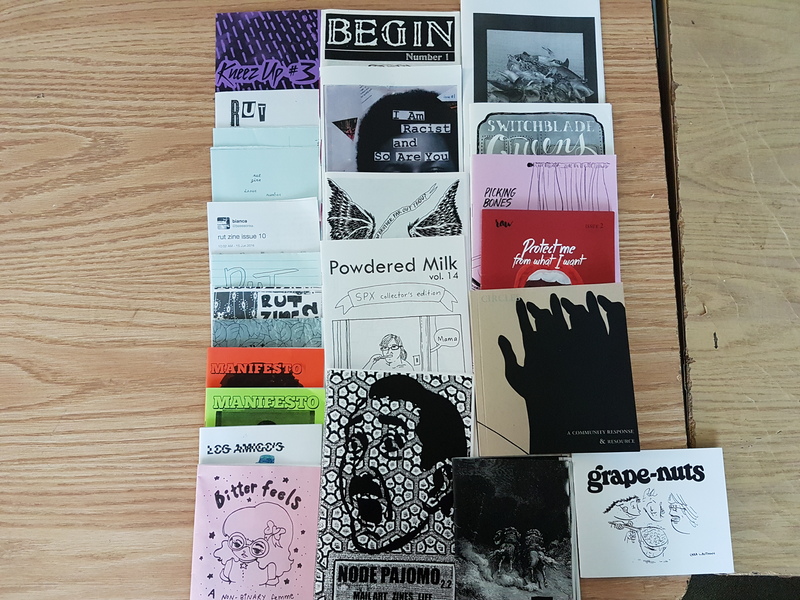 The Toronto Zine Library will be closed this upcoming Sunday, November 26 for a much-needed clean up day. Our volunteers will be hard at work making the space better for your library browsing needs. We apologize for the inconvenience. Looking to visit still? We got hours on Tuesday and Wednesday! Come visit between 6-8PM, we’ll be happy to see you. Posted in Uncategorized	| Comments Off on Clean up! Clean up! Everybody clean up! We will not be holding staffed hours today. We will taking time to reflect on the colonial heritage of this country. 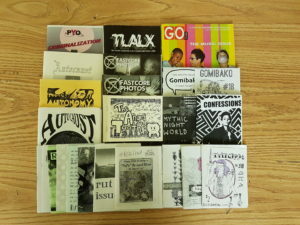 Come by the Toronto Zine Library & check out some awesome zines while Raging Against the Machines! 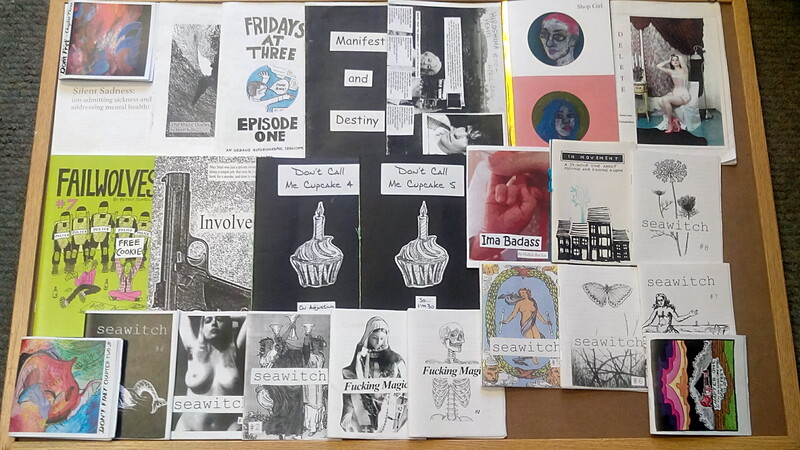 Sneak a peek at the zines on this page and try not to shriek! We’d like to announce that we have Wednesday hours back up an running again! Come out for staffed hours between 6-8PM to check out the collection and borrow materials if you are a member. As you know, it’s International Zine Month and we’re going to celebrate with a two nights of zine-making workshops! 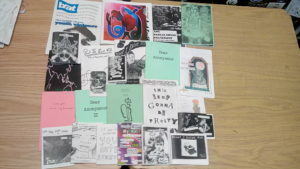 These workshops will be informal, more like an opportunity to make zines with some like-minded folks. They will be open to all levels of experience, from total “newbies” who have never made a zine (or perhaps, limited exposure to zines on a whole), to those who have a whole catalogue to their name. We’ll be providing some supplies and support.We just want to see everybody make some zines! 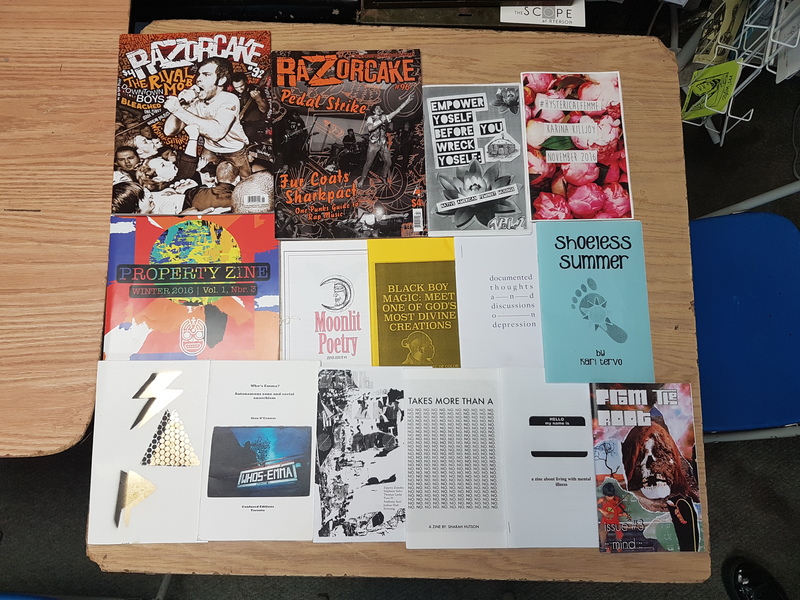 Night 1 will be on Sunday 23 July from 6-9PM in the Toronto Zine Library proper. We regret that our space is not wheelchair accessible. Night 2 will be on Sunday 30 July from 6-9PM in the Tiki Room, on the first floor of the Tranzac. This night will be wheelchair accessible. We’ll have a leave-a-zine, take-a-zine table, so please bring your previous work (if applicable) to trade and/or donate to our collection. If you have any lying around, feel free to bring old magazines for graphics. We’ll also have a potluck, as per standard TZL form. Please refrain from bringing any dishes with peanuts or nuts; also, bring a list of ingredients in case other folks have allergies to other foods. Heck, why not bring the recipe for a recipe swap? 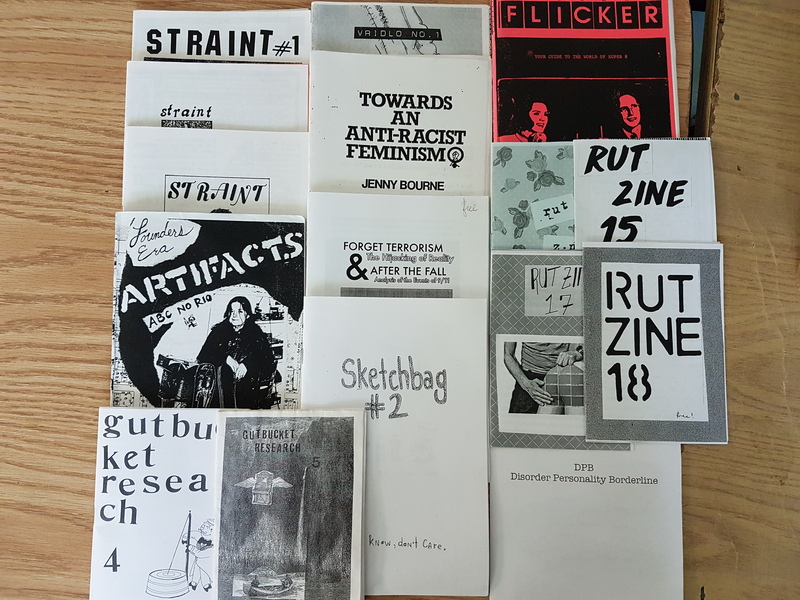 Happy International Zine Month! We have a modest update on newly cataloged materials. Posted in acquisitions	| Comments Off on Catalogue update! We have a list of new additions from the past month for you to peruse. More importantly, it’s the Toronto Art Book Fair Week! Check out all that’s great in the Art Book World happening in Toronto from June 12-18. We will have a small “showcase” during staffed hours on Sunday, June 18th of more recent art zines from our collection. We encourage you to come out and check out this part of our collection if you have not already. 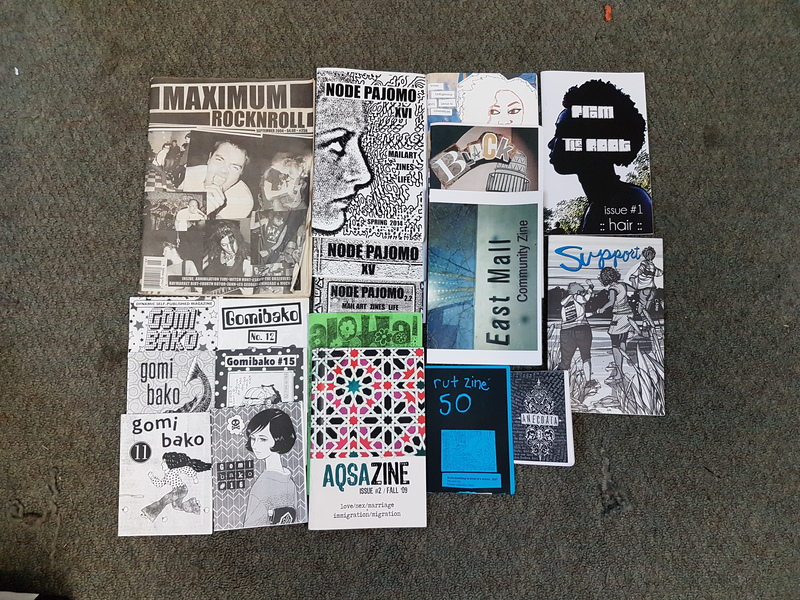 Two updates for you: a list of newly added zines from the past few weeks, and a notice that we will not be having staffed hours Tuesday 16 May. We apologize for the inconvenience. Please come visit next week! We’re also still open to new volunteers, so come swing by or send us an email at torontozinelibrary@gmail.com if you’re interested!